Meanwhile, some countries are still using donkeys for transport. It was only last week when this rumor began and it has just been, more or less, confirmed. Mercedes-Maybach will proceed with plans to build an insanely expensive, dictator of an oil-rich country future favorite, uber luxurious SUV. And have no fears about there being enough buyers. There are. Plenty. We previously assumed that Mercedes-Maybach would hold off on a SUV decision until sales results of its S-Class-based S600 came back. Obviously not. No time wasted here. It was at Detroit last week where Daimler chief Dr. Dieter Zetsche responded to a question about a Maybach-branded SUV in the affirmative. Well, his exact words were "most likely." In this industry, the only other form of confirmation higher than that is a company-issued press release. 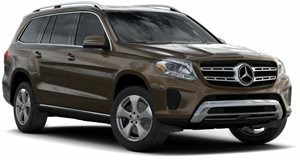 More than likely, the Mercedes GL-Class will serve as the basis. Within the next couple of years, we’re going to see super luxurious and expensive SUVs coming from Bentley, Lamborghini, Maserati, Rolls-Royce and now these guys. Meanwhile, some countries are still using donkeys for transport.